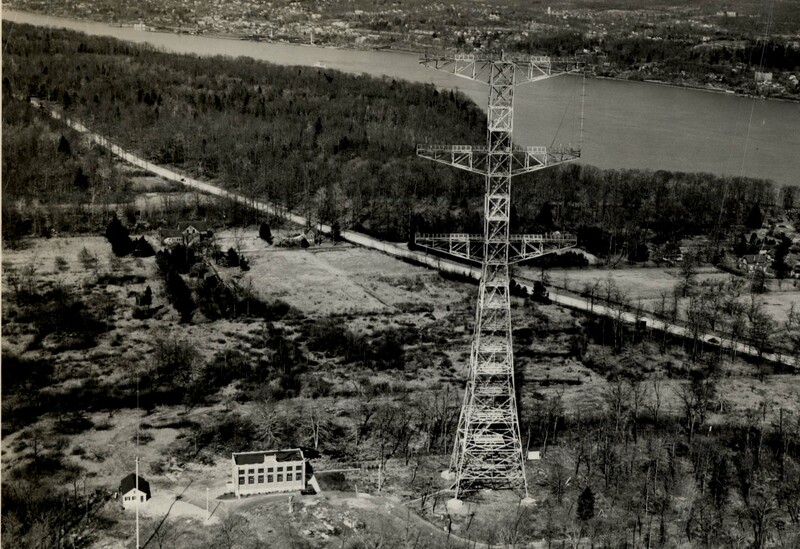 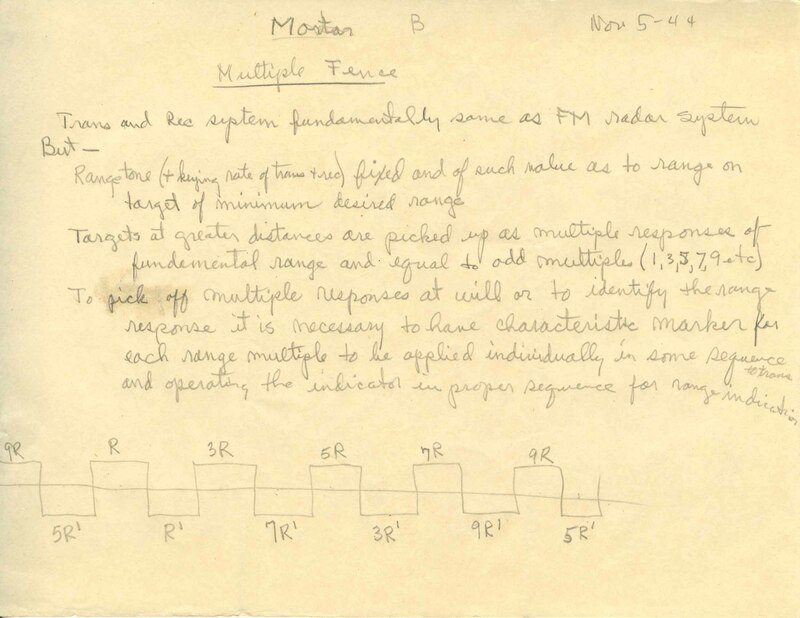 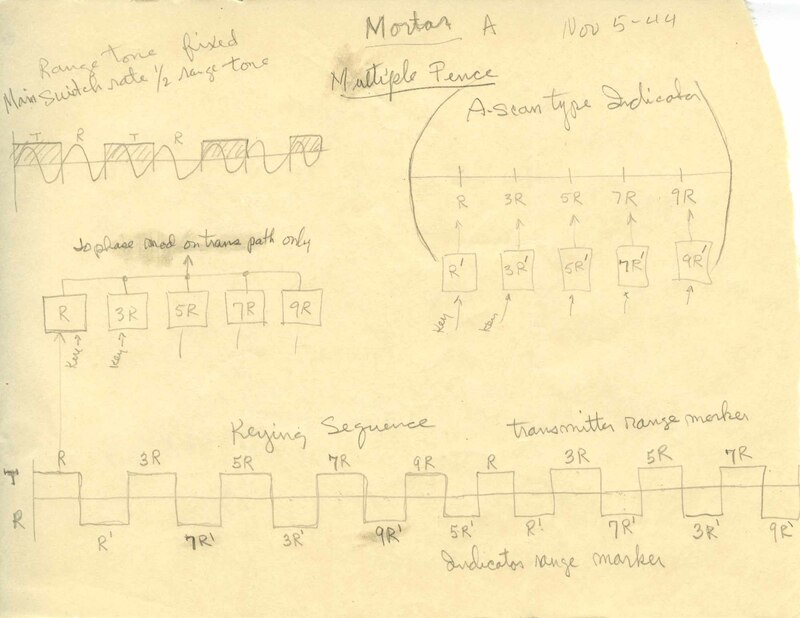 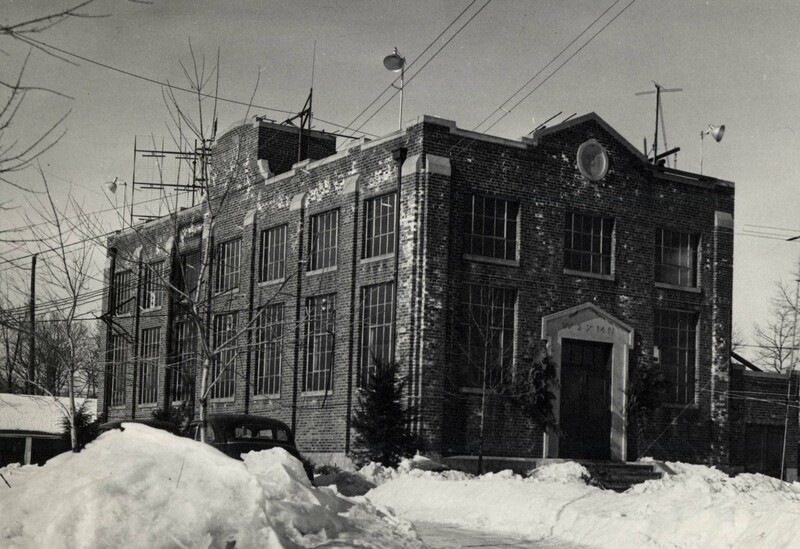 When the second World War started in 1939, the United State Signal Corps approached Armstrong for assistance as they wished to use frequency modulation for mobile-military communications. 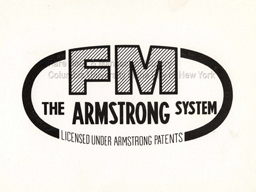 Mobile FM was invaluable during the war and Armstrong allowed the US military use of his frequency modulation system royalty free for the entire war. 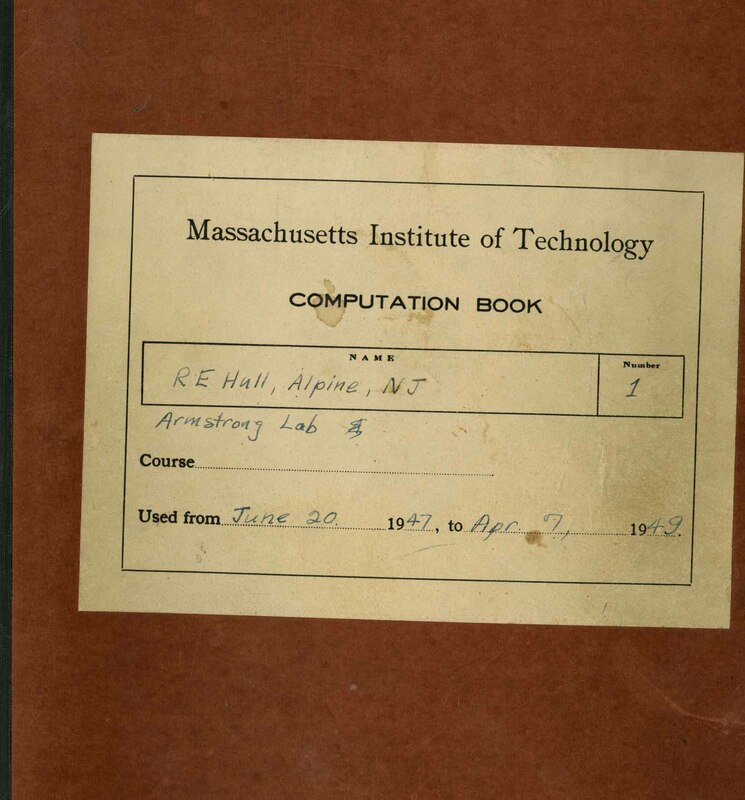 No company offered such a generous deal and unfortunately, Armstrong’s income was diminishing rapidly and he needed funds to continue support of his Alpine and Columbia University laboratories. 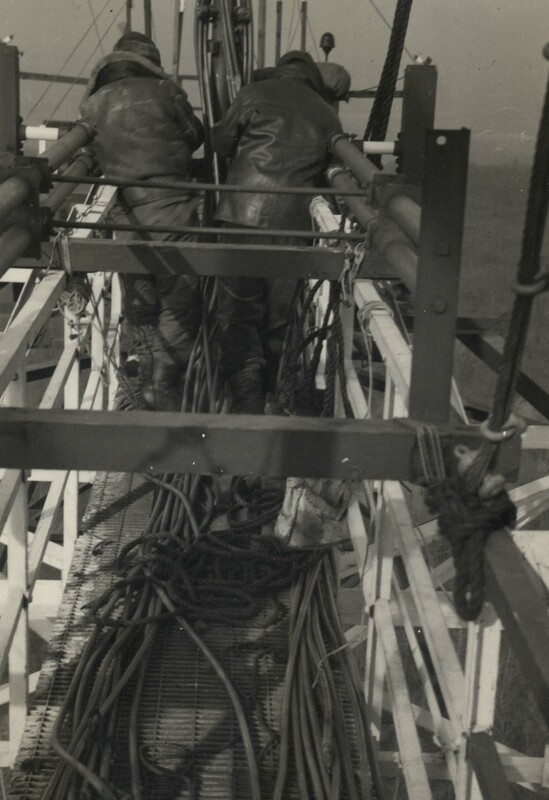 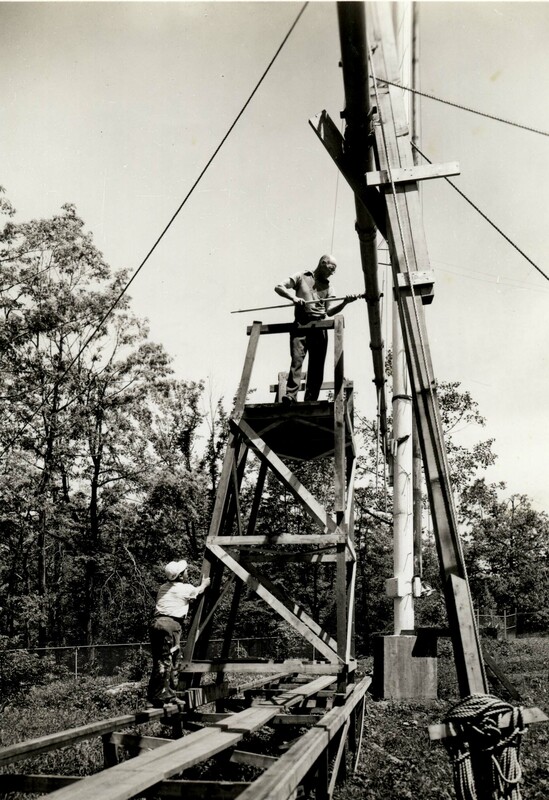 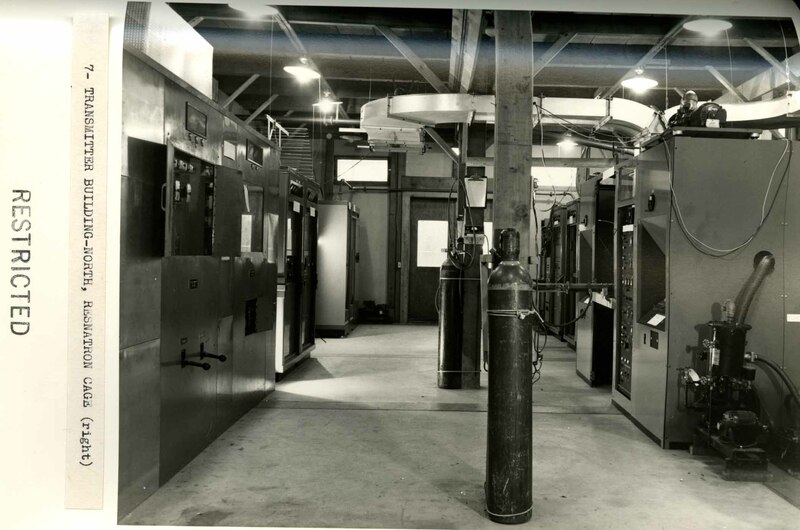 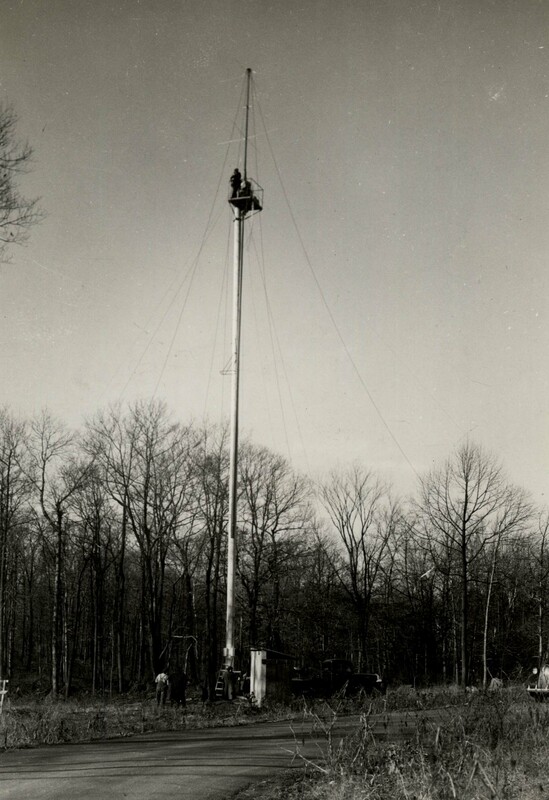 He accepted contracts to work for the military and began his experiments on radio detection and ranging systems. 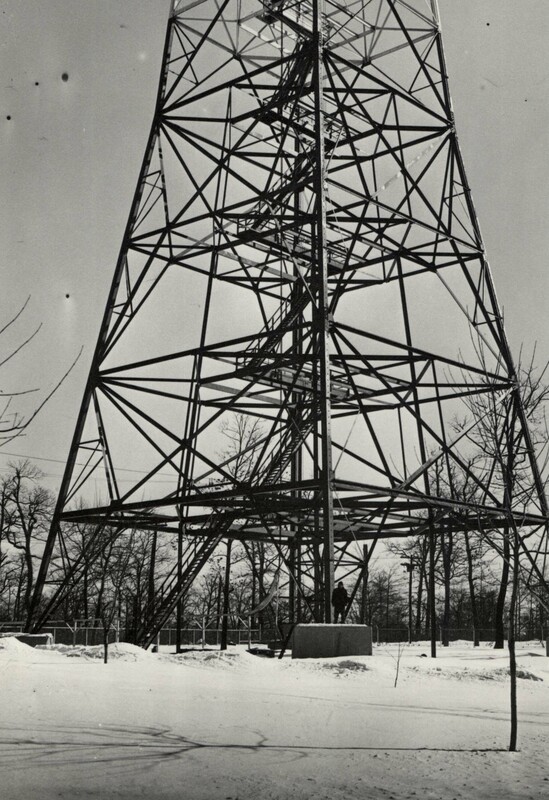 At the time, the radar employed was of the short wave type (pulse radar). 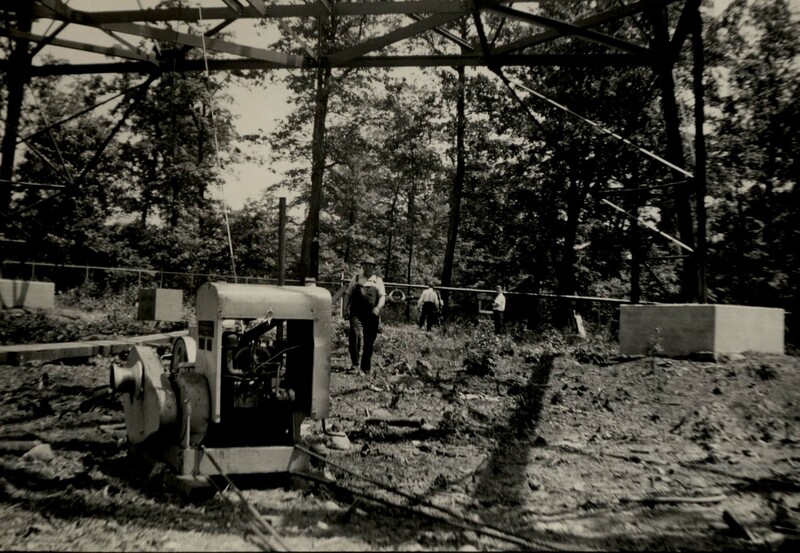 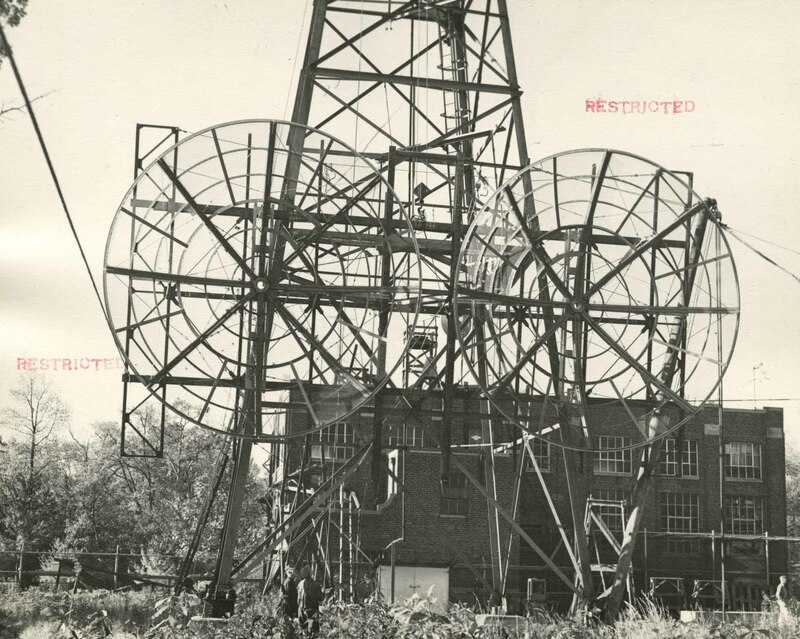 Armstrong was in pursuit of continuous wave FM radar with the help of his chief technical assistants, John Bose and Robert Hull. 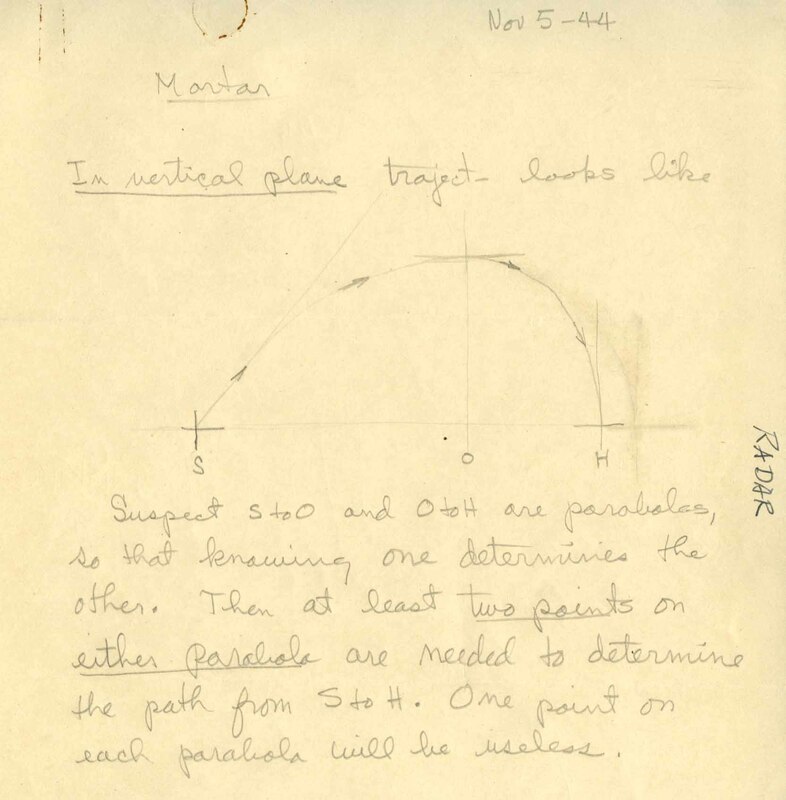 When the war ended in 1945, Armstrong had not concluded his radar work. 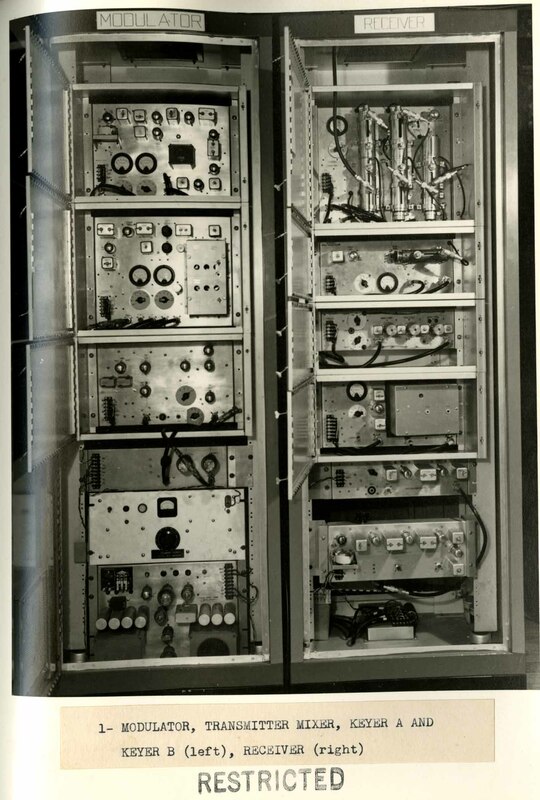 Bose, Hull and Armstrong continued and eventually developed a working radar system. 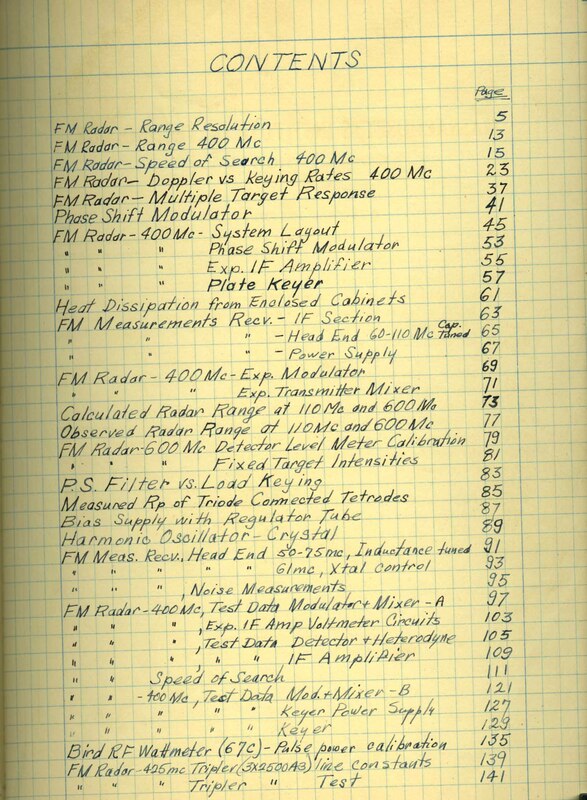 As opposed to pulse radar, the system they produced using continuous wave FM had a searching range far beyond the pulse method. 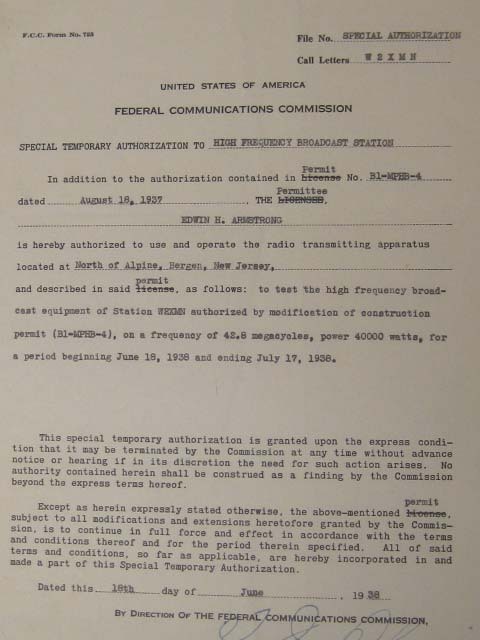 "This invention relates to a new form of radio detection and ranging system for distant objects, commonly known as radar, which utilizes the principles of frequency modulation. 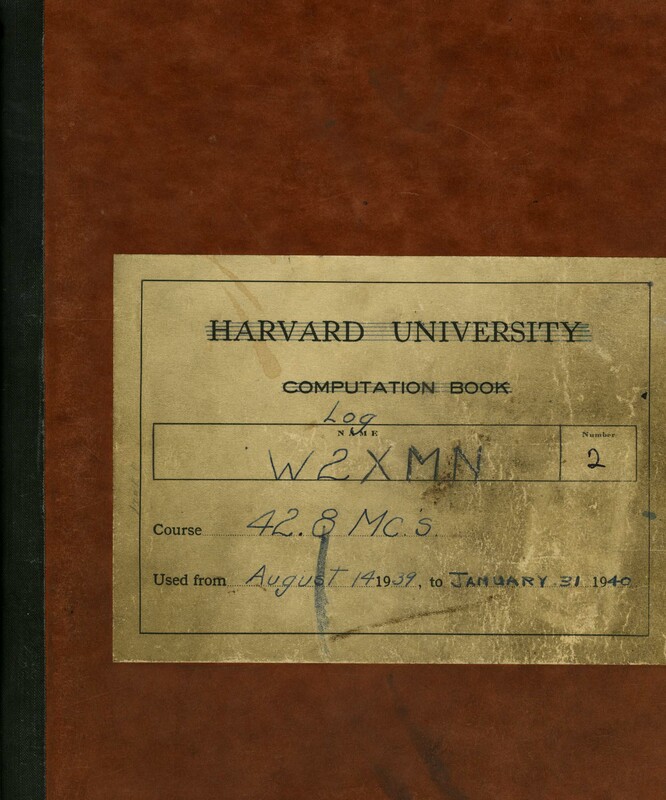 It has for its object the provision of a more sensitive and selective system whereby greater sorts is obtained. 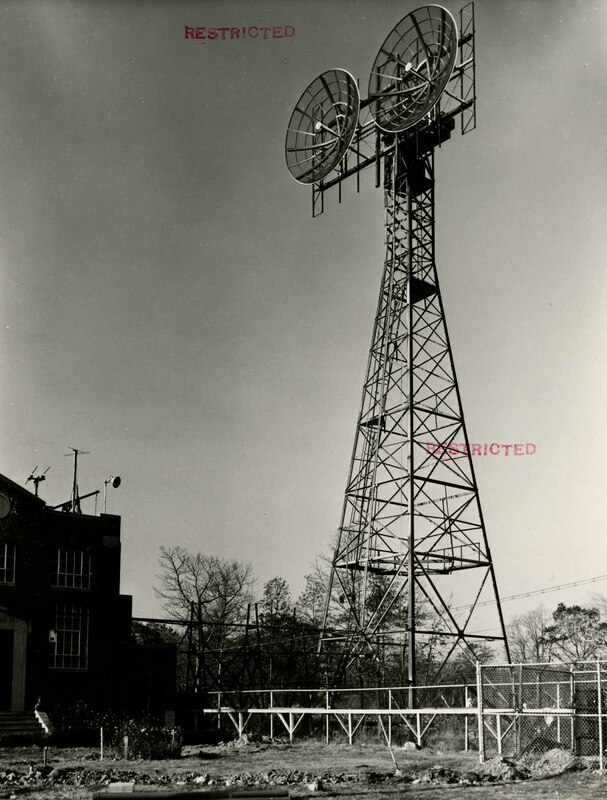 It has also for its object the provision of means for distinguishing between fixed and moving target relative to the location of the radar station and the sense of motion." 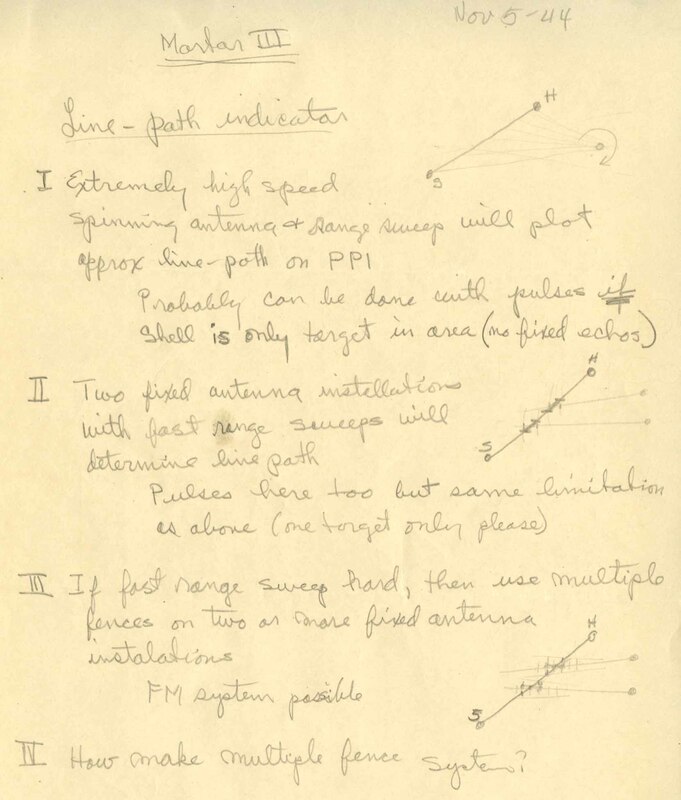 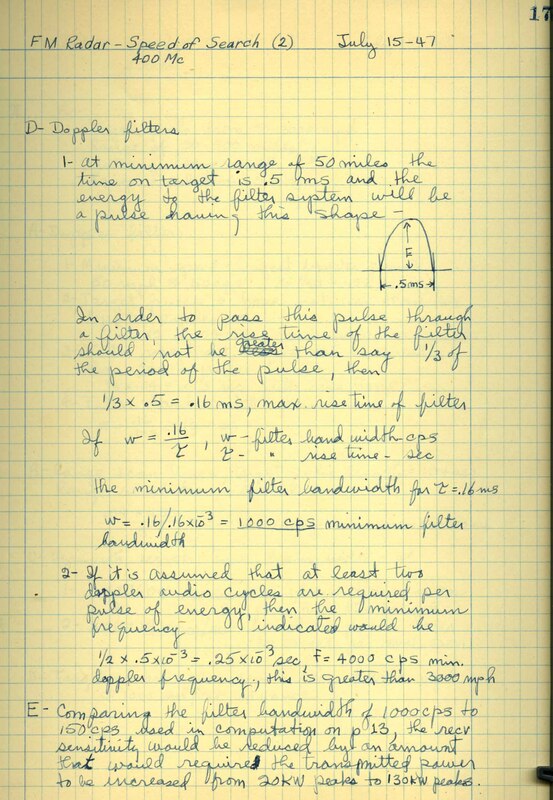 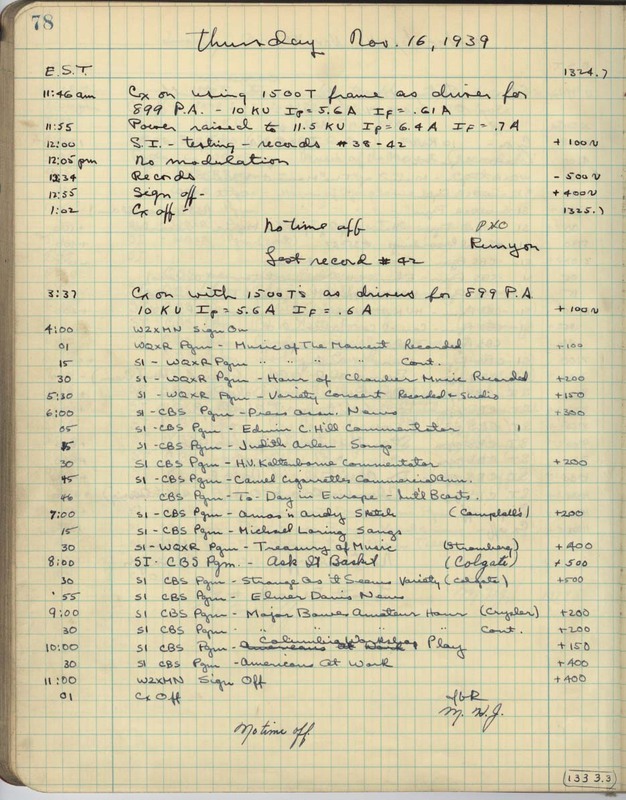 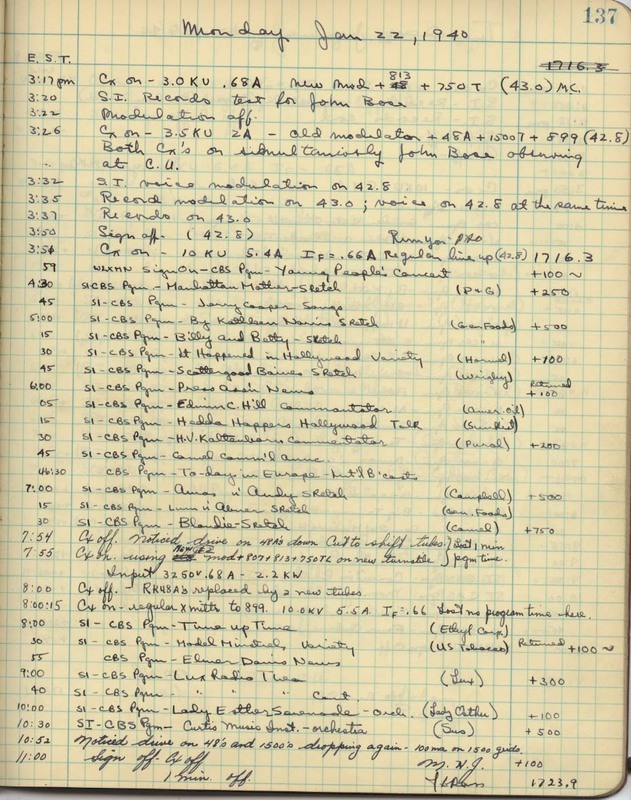 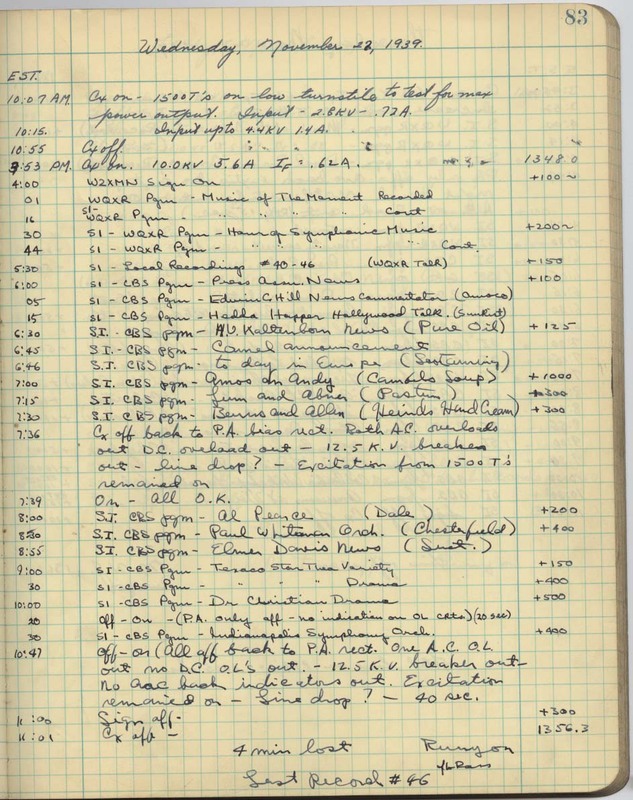 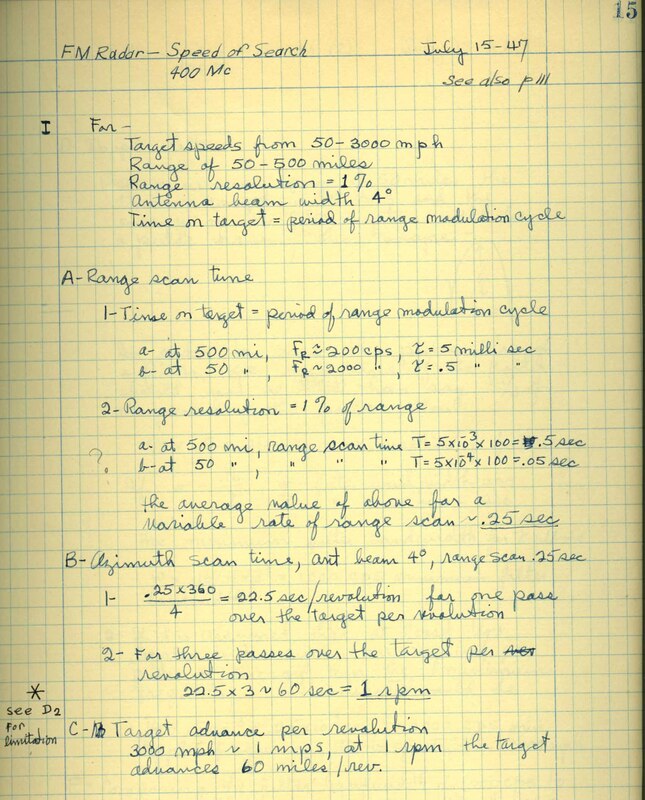 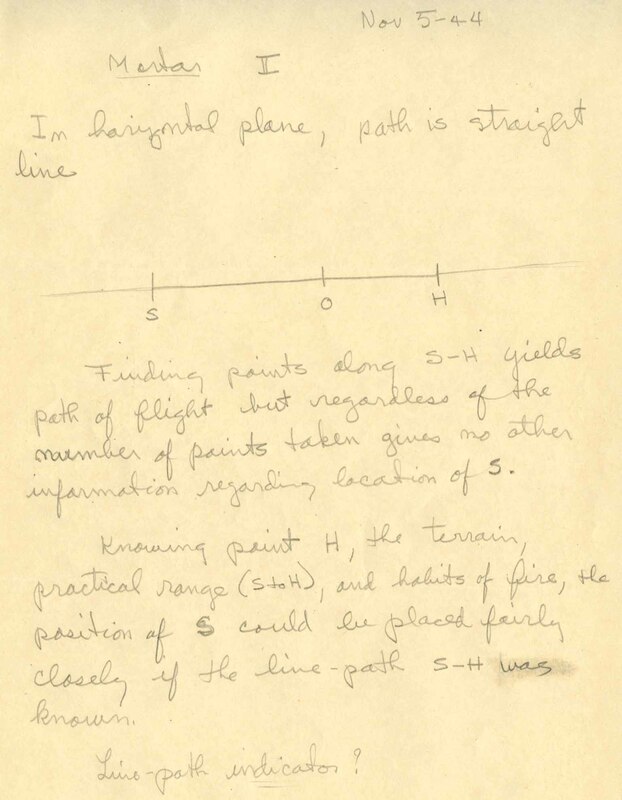 I have scanned some documents and photographs from Robert Hull’s logbooks (below) and notes (immediately above), which you see here. 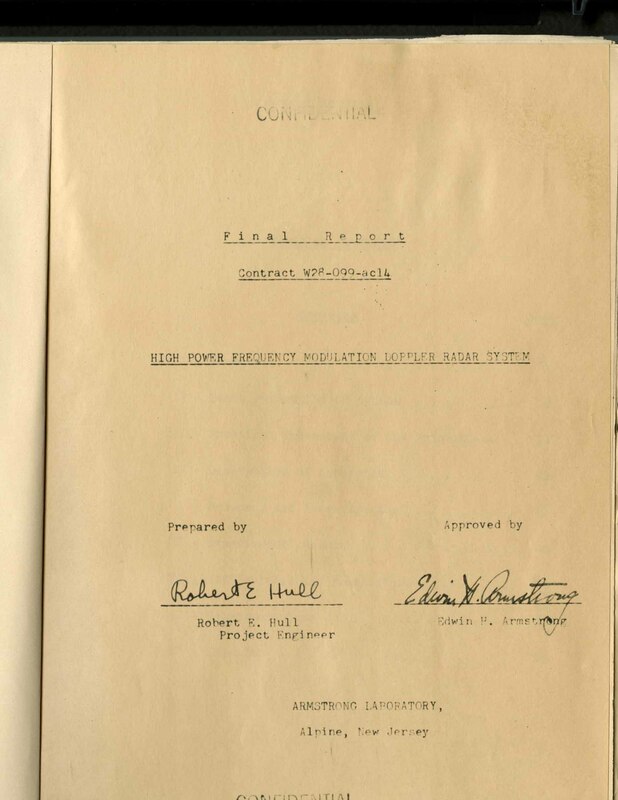 In addition, I have included the title page of one of the final reports (Contract W28-099-ac14) created at Alpine Laboratory for the US Military (immediately below), along with some photographs (top of post) found within that document. 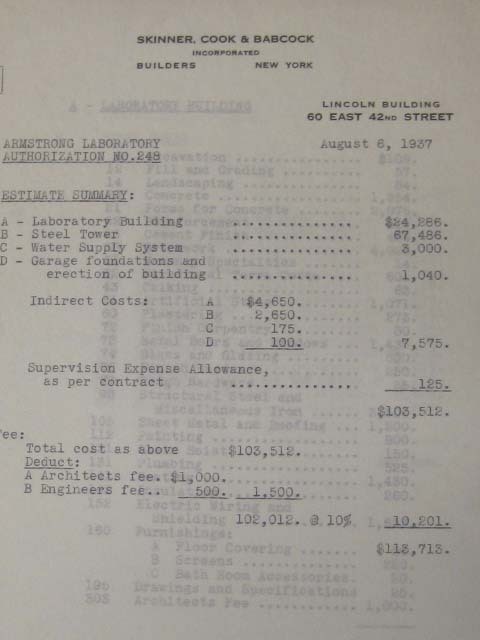 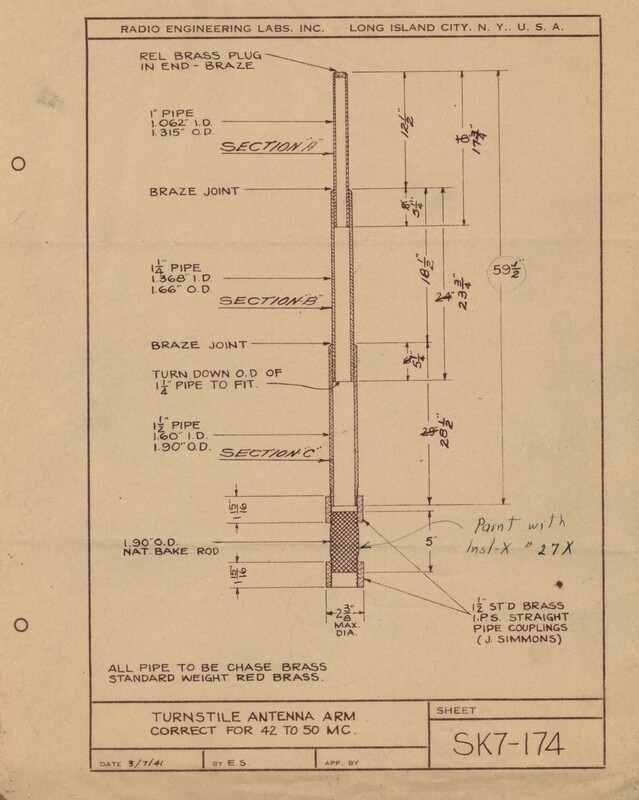 There are many more reports, notes and photographs regarding other US Military contracts held within the Edwin H. Armstrong Papers. 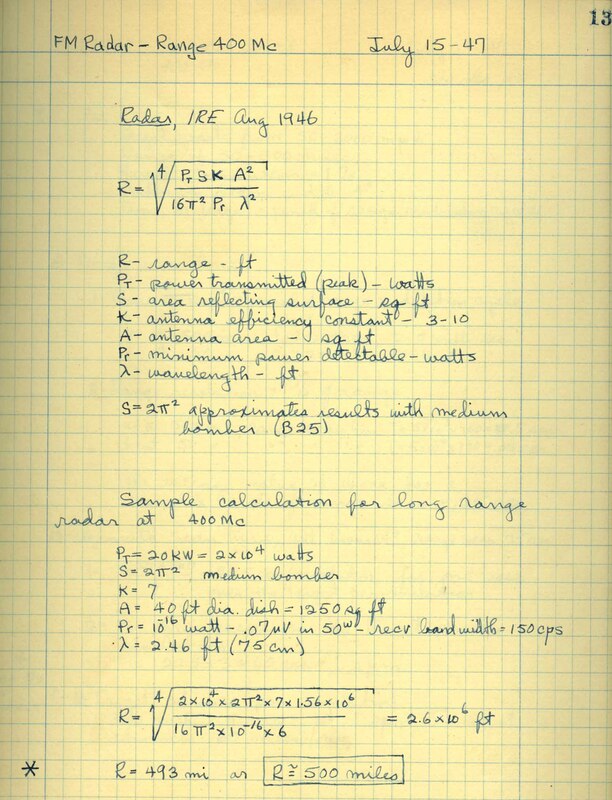 This entry was posted in Popular and tagged Alpine Laboratory, antenna, High Power Frequency Modulation Doppler Radar, John H. Bose, Mobile FM communications, pulse radar, Robert E. Hull, United States military, United States Signal Corps on July 22, 2010 by Jennifer Comins.